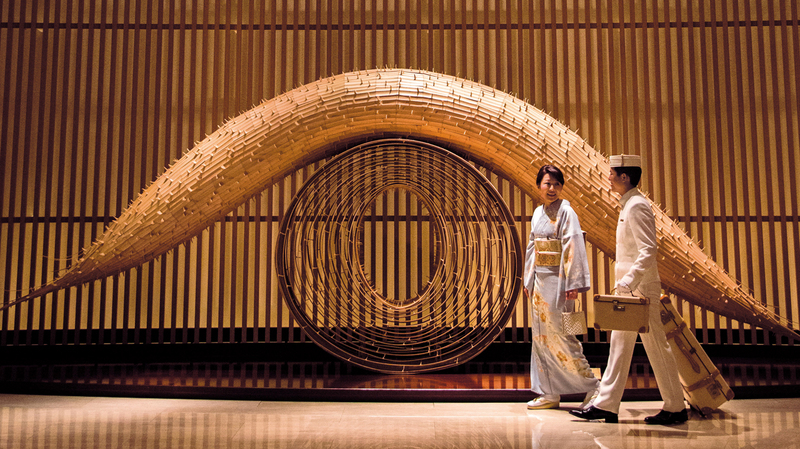 There is a place in Tokyo where you can experience an unrivaled journey of the senses – beginning with maybe a traditional afternoon tea in the lobby. Located opposite the Imperial Palace, with extraordinarily elegant views over the Imperial Gardens, the fascinating Peninsula Hotel Tokyo welcomes guests with 267 rooms and 47 suites arranged to suit a modern travel lifestyle and designed to recreate your dreams in a sensory challenge. Showcasing designer five-star luxury, the 24 story luxury hotel is not a stranger to comfort – its soft textures and bold shapes compose spectacular interiors and provoke the senses to indulge in a careless experience. One of the five unique restaurants located on the mesmerizing 24th floor offer expansive views of the city through floor-to-ceiling windows and a luxurious entertaining and dining experience. The Peninsula Spa by ESPA will expose a world of relaxation waiting for you to indulge in pure comfort. Find out what the “state-of-the-art in-room technology” is all about and tell us about your stay in a comment below.